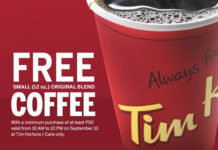 *Participating carts will be offering Signature Coffee. 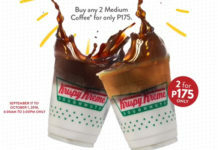 · Get one (1) Original Glazed & one (1) medium hot/iced Americano or Cappuccino coffee for only P79. · Offer is valid from July 11 to 31, 2016 from store opening to closing at 79 participating Krispy Kreme stores nationwide. 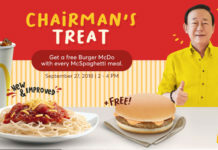 · Valid for dine-in, take-out, and drive-thru only. · Not valid with other promotions and discounts. 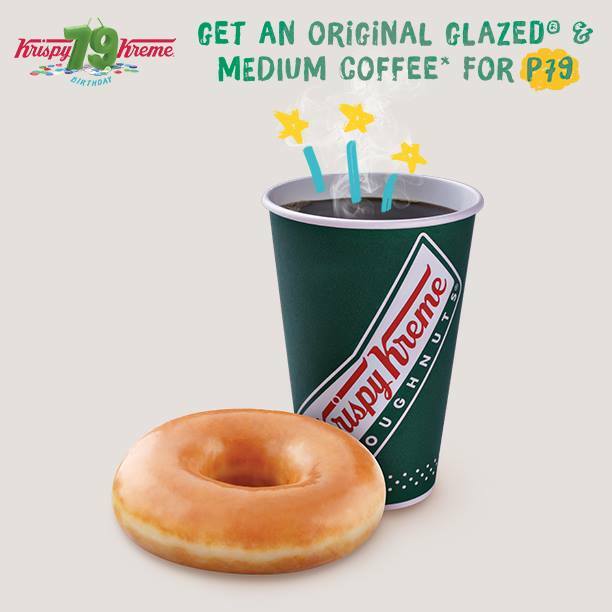 · For participating kiosks, the offer will be one (1) Original Glazed & a medium Signature Coffee for only P79.